In an ever-growing population, the demand for adequate healthcare services continues to rise, mostly because of population, aging and getting exposed to all kinds of new diseases but also from an increasing interest in wellness by consumers. Digital healthcare, particularly in developing economies, has however been slower in the uptake of the technology revolution. In Kenya, in particular, this is an industry that has the potential to bring about high-return investments and numerous benefits including cutting down costs and also significantly reducing the number of deaths. For instance, a huge number of people search for health related information. This is actually the third most popular online activity. With majority of these patients active online, looking for solutions to their health problems, many healthcare professionals and organizations are also stepping up their digital marketing efforts. The fact is, the healthcare industry has an incredible opportunity to leverage on digital and cloud, to drive market share, create transparency, and improve patient relationships. It’s clear that digital marketing has impacted the healthcare industry in an unprecedented way. Today, people in every profession are using cloud computing to work more efficiently and more effectively, to serve customers in new ways, and to find answers to once unsolvable problems. The opportunities that the cloud offers to transform the way healthcare professionals take care of patients and people take care of themselves is far-reaching. A good example can be seen in how moving from paper to electronic health records will help reduce costs and enable healthcare professionals to spend more time in the community working with families. It also gives health care centres the ability to track real-time data so that it can respond quickly in the face of an emerging health threats such as the outbreak of an infectious disease. Imagine the possibilities! 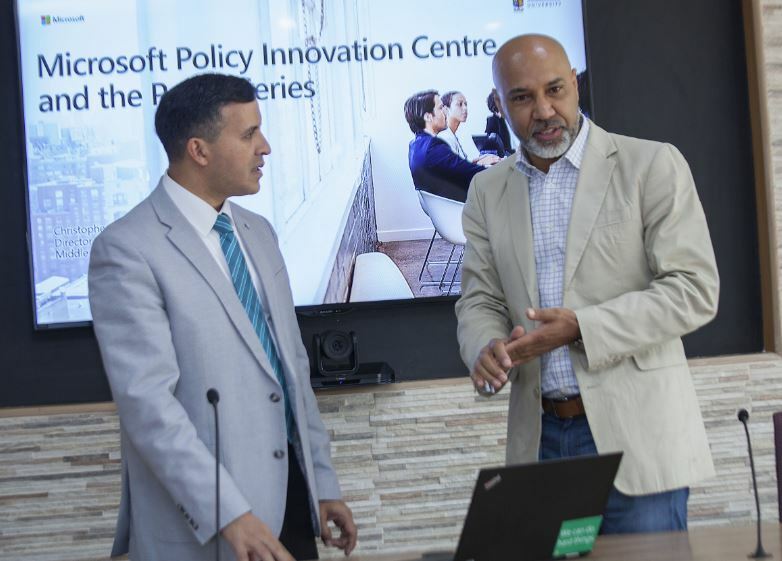 Last month, Microsoft in partnership with Strathmore Business School launched the first Policy Innovation Centre in Africa, to provide a forum to foster dialogue, discussion around policy issues that affect the biggest development challenges we face in the world today, as posed by the United Nations Sustainable Development Goals and the Digital Transformation of industries and countries. This Policy Innovation Centre aims to bring together talents of academia, industry and policy experts, and government. Together, they will address and find ways of addressing emerging challenges in different sectors in Kenya including how to revolutionize healthcare systems in Kenya. In southern Zambia, healthcare workers are using mobile phones and sophisticated data models to find isolated pockets of the mosquito-borne illness, identify people who are infected but have no symptoms, and ensure that the right treatment and preventive measures are delivered where they are needed when they will make a difference. Capabilities like these are an important reason why the expanded use of digital technologies, including the cloud, should be an essential component of healthcare policy in Kenya and it’s high time we invest and built strong vertical programmes that don’t just target specific diseases like malaria, cholera, TB and HIV but in strengthening systems for health as a whole thanks to digital transformation.